Jagdeo said the PPP/C is on record as declaring its willingness to work with both Local and Central Government officials, but he stressed that the chairmen and vice-chairmen of those NDCs have a right to their opinion; besides, they are on tight schedules, and are constantly engaged in the people’s work. 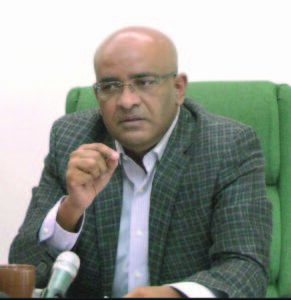 During the launch of the National Regional Development Consultative Committee (NRDCC) and establishment of ten (10) Regional Development Consultative Committees (RDCCs), Jagdeo reminded that there was no prior consultation with the Parliamentary Opposition on the matter. “They were told to come to a meeting; and then to hear that (Government is) launching this body and will be using flags (the councillors) don’t agree with. 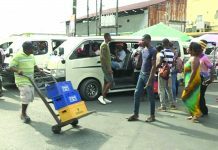 And what will happen (is that the councillors) will participate in a process that reduces their constitutional and legal powers in the region as regional chair… municipality…,” he recalled. Using Lethem as an example, the Opposition Leader said if this mechanism was agreed to, it would mean that the mayor of that town would be co-chairing a regional body with the regional chairman. 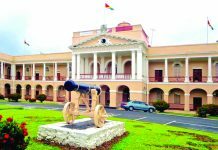 “So, his jurisdiction gets extended to the entire region, but he is only appointed in that area in the municipality, (whereas) the chairman is elected by the entire region,” Jagdeo argued. 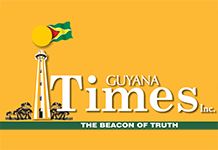 He said the same obtained for the Guyana Association of Municipalities. “We were ready to go, and a week before that President (David Granger) went in defiance of a court order and swore in the mayor of Mabaruma. An illegal act, and he was going to be at the conference, and we couldn’t go and participate. 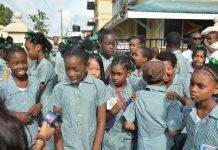 Look at the councillors in Region Five that broke up several meetings for almost one year,” Jagdeo pointed out. The former Guyanese Head of State does not agree with the image being portrayed by President Granger, that when people don’t show up and pay homage to him, he takes it as disrespect. “Many times, when I was President, people didn’t show up, but you get on with your work. All this pomp and ceremony that they are accustomed to, and the police lined up….they can’t be catching criminals and lining up for the President,”Jagdeo said. In making reference to the Local Government Commission (LGC), the Opposition Leader recalled that Communities Minister Ronald Bulkan had said the PPP/C did not consult with all the parties in Parliament when they submitted the first set of names, although it was a requirement by law. Although at the beginning the Opposition was against doing so, Jagdeo said the party corrected itself and resubmitted the names of the three nominees for the LGC, done through a consultative process. “Now we have resubmitted. And their nominees are still being considered by the Cabinet,” he lamented. Jagdeo said it has been over one year since Local Government elections were held. “They do not want to establish the LGC, although they have promised this, because the minister (Bulkan) will now have the power and control over the regions and everybody,” he added. Recently, Minister Bulkan told this publication that setting up of the LGC is still in the pipelines. He gave his full assurance that the process is still ongoing, and iterated that there is no intention on the part of Government to abandon the setting up of that body, but Government is working to meet the 2017 deadline. 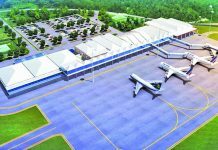 In the 2016 budget estimates, some $30 million had been allocated by the Government to the non-functioning LGC. Bulkan said the money was to allow the LGC to operate independently of Central Government.